The Bostinese is not a purebred dog. 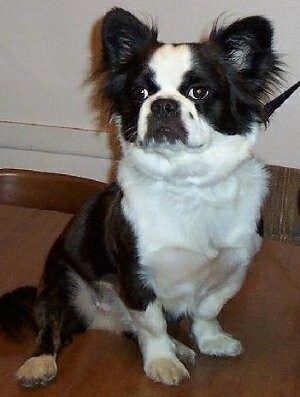 It is a cross between the Boston Terrier and the Pekingese. The best way to determine the temperament of a mixed breed is to look up all breeds in the cross and know you can get any combination of any of the characteristics found in either breed. Not all of these designer hybrid dogs being bred are 50% purebred to 50% purebred. It is very common for breeders to breed multi-generation crosses. 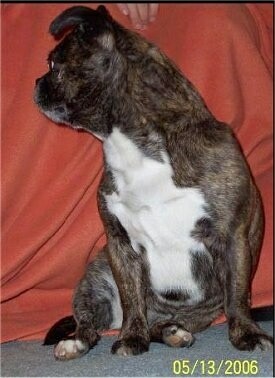 "This is our hybrid or designer dog Chico. We got him about a year ago from a breeder up in St. Cloud, MN. 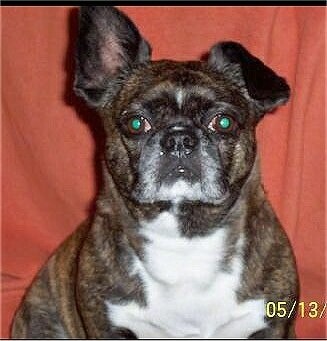 Chico is a Bostinese which is a cross between the Boston Terrier and the Pekingese. Chico is a very lovable dog. He has cool traits like he snorts like a pig and it's funny, he's playful and a great companion and guardian for kids and adults. He's affectionate and gets along great with our Jack Russell Roxi who is older than him and like his mother. She taught him everything he knows. He's housebroken but will have a little accident if he gets nervous or scared. He also has a very sensitive stomach and can't eat any table scraps whatsoever or he throws up or gets terrible diarrhea. We love Chico because he is so cute and lovable, even Roxi puts up with him when he tries to take her bone! 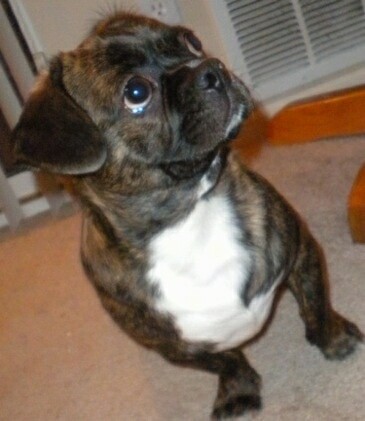 He's the best boy dog we ever had, and even though Roxi doesn't like to always admit it...she loves him, too!" 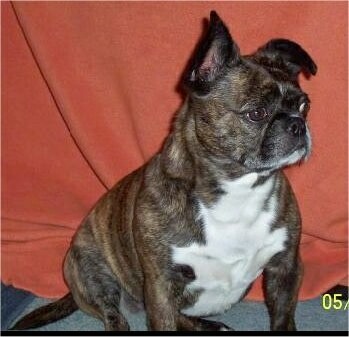 Rufus, a Boston Terrier / Pekingese mix (Bostinese) at 9 months old—his mom was a Pekingese and his dad was a Boston Terrier.